Allen Ginsberg, photographer. 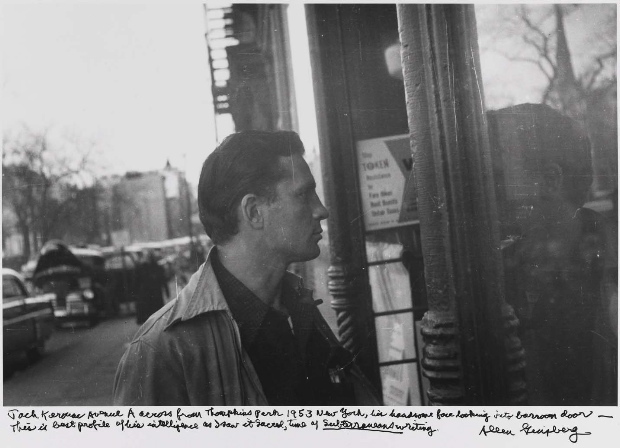 “Jack Kerouac Avenue A across from Thompkins [sic] Park 1953 New York, his handsome face looking into barroom door—This is best profile of his intelligence as I saw it Sacred, time of Subterraneans writing.” Black-and-white photograph, October(?) 1953. NYPL, The Miriam and Ira D. Wallach Division of Art, Prints and Photographs, Photography Collection. © and reproduced courtesy of the Allen Ginsberg Estate.